Place the olive oil in a skillet, and heat over medium-high heat. Stir in the mushrooms and leeks; cook and stir until they soften, about 5 minutes. Set aside until needed. Meanwhile, pour the chicken broth into a large pan, and bring to a boil over medium-high heat. Add the sausage, tortellini, garlic, and hot sauce. Reduce heat to medium, and stir in the mushrooms and leeks. Cover, and simmer soup mixture for 30 minutes. Serve garnished with cilantro. 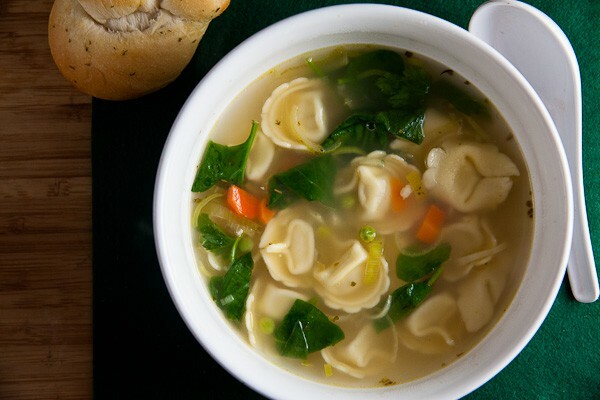 No comments for: "Mushroom, Leek, Chicken Sausage and Tortellini Soup Recipe"